This summer, my family and I drove from Halifax, Nova Scotia to Vancouver, British Columbia, mostly on the Trans-Canada highway, and then home again on Interstate 90, via Seattle and Boston, plus I-95 north through New Hampshire and Maine and then the Trans-Canada and the 102 through New Brunswick and Nova Scotia. In between, we spent some time in Calgary and then in Vancouver. (My husband was working in the emergency departments in hospitals in each of those two cities.) I hadn’t made the trip across Canada since I was seventeen, and I loved rediscovering the country and exploring new places with my family. I also loved taking pictures along the way, and I’ve chosen some of the ones I like best for this blog post. I tried to follow Elizabeth Bennet’s example of not jumbling together the names of the lakes, mountains, and rivers. (See “What are men to rocks and mountains?” for photos from our trip to Banff, Alberta in July.) Here’s the short version of our very long road trip. Hope you enjoy the journey across North America! While we were in Winnipeg, we also visited the Project Bookmark Canada plaque for Shields’s novel The Republic of Love and I’ll write more about that in a future blog post. I kept looking at the various Laura Ingalls Wilder museums highlighted on the map, wishing we had time to stop and explore. (We weren’t too far from the ones in South Dakota, Minnesota, Wisconsin, and Iowa, and I know there are more museums in other states.) Someday, I hope. I’d love to hear more about literary sites related to the Little House on the Prairie books, if any of you have visited them and have advice to offer. This was the first time I had ever seen Niagara Falls from the American side. When I was six, I lived in St. Catharines, Ontario, and we often visited Niagara Falls on the Canadian side. Home at last! A view of the Bedford Basin from the MacKay Bridge in Halifax, Nova Scotia. It’s so good to be home, after a long and eventful and memorable journey across North America. We’re not ready to hit the road again right away, but we are already starting to talk about our next big trip—maybe heading south next time, driving from Halifax to Miami, perhaps, or from Winnipeg to New Orleans, or from Seattle to San Diego…. Or maybe we’ll drive west again, spending more time with friends and relatives and more time exploring places we missed this summer. I’d like to revisit the longest covered bridge in the world, for example, in Hartland, New Brunswick, which I remember from childhood trips across Canada. And I’d like to see the Project Bookmark plaques in Toronto and Hamilton, Ontario, and other literary sites in both Canada and the United States. And of course this list could go on forever, so I’ll end by inviting you to tell me about road trips you’d recommend, whether they’re trips you’ve done or trips you’d like to do someday. All photos © Sarah Emsley, 2016. Wow! What an adventure! Thanks for sharing these wonderful photos. A trip down south would indeed be fun. Maybe visit bookstores AND birthplaces/homes of great southern writers? Great idea! Thanks, Mary. If you were going, which writers would you want to focus on? What a wonderful trip, and terrific photos! You have a great eye for the lines and shapes of road and sky. That’s very kind of you! Thanks, and I’m glad you enjoyed the photos! Thanks, Sarah. You inspired me to plan our next road trip. I love New England in the fall and there are a few writers’ homes that I have yet to visit. Oh, now you’ve got me thinking about a New England road trip! And I agree, fall would be perfect for that. Which houses are you thinking of? I haven’t been to The Mount (Edith Wharton’s house) in years and I was so sad that we drove right past Lenox, MA this summer. No time to stop during that part of the trip. I’d also like to go to Concord, MA again. And Hartford, CT, to see the houses of Mark Twain and Harriet Beecher Stowe. I should be making a list of the ones I haven’t been to yet! Instead, right now I’m thinking of the ones I’d like to see again. Best wishes for your trip! Last fall we saw Twain, Stowe, Hawthorne (there actually is a house with seven gables), Alcott, and Irving’s and what a magnificent trip that was. This year I hope to see some combination of any of the following: Dickinson, Emerson, Thoreau, Frost, Longfellow and Wharton. That does sound magnificent. Emily Dickinson’s house and Edith Wharton’s house are both wonderful. Two of my favourite spots in Massachusetts. Wharton’s house was one of the first places I visited when I moved to Boston in 2002, and then Dickinson’s house was one of the last literary sites I went to in Massachusetts just before I moved away six years later. (I remember wishing I had discovered Dickinson’s house sooner.) I’ve been to some of the others you mention, and I liked them as well. I’ll have to add Irving and Frost to my list for a future trip. Safe travels! Sarah, do you read Anthony Trollope? I belong to a great reading group on Facebook, Anthony Trollope Society, with over 1,000 members. We read a work of his every couple of months. You might really enjoy it. I love Trollope! Especially The Small House at Allington (and that whole series). I have so many things on my reading list right now that I probably can’t commit to anything new, but I’m glad to know about the group. Could you send me the link, either here or on FB? It would be fun to join in at some point. I enjoyed this very much–loved getting to see the journey. Incredible range of photos, thank you! I do think Powell’s bookstore is a must see visit..as it is in my home town, I’m slightly biased. 🙂 Also, if you ever do a road trip down the Pacific west coast, Lincoln City is rich in used bookstores. Robert’s Used Books is iconic; I try to get there every year, and hope beyond hope it is still there the next time I visit. Many fun hours spent browsing there; my recent post on Rare Birds (about the vanishing used bookstore) used photos taken from Robert’s. Thanks again for a lovely post, and welcome home! I’m sure it feels good. It is great to be back at my own desk in my own house, looking out at the maple trees (and the rain). But I do love road trips and I will keep all of your recommendations in mind for the future. Thank you! Lucky you, living so close to Powell’s…. Thanks, Donna! It was wonderful to see you — and to hear about your travels on the Yellowhead highway. Lots of love to you and yours from all of us. I can’t wait to visit Mabel Murple’s World – a book store I can make it to! What a wonderful trip you had. And beautiful photos – I bet it was hard to choose your favourites. I couldn’t help but notice how many rivers, bridges, and other watery spots there were in your pictures. And the sky – the sky is always beautiful no matter the weather. It must feel good to be home. It would be nice to find a time to meet so I can hear more about it all! As for my own trips – for the most part, we stick to the Maritimes. But I have to say that we never feel like we’re missing out. Even after having lived here my whole life, there are still new places for us to explore. We do dream about a trip across Canada. It would be nice to take the kids. But time had always been an issue; we don’t want to rush it. There is hope, though – this year my husband quit his job and has started his own company. We’re hoping that if things go well we will eventually be able to find the time that has always been impossible in the past. 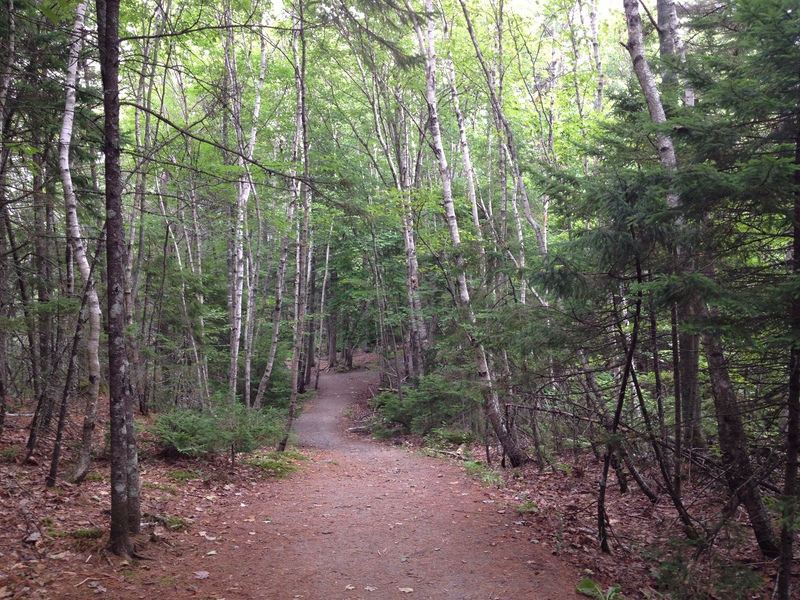 This weekend we are headed to Thomas Raddall Provincial Park for our last camping trip of the season! I love the fact that your camping trip is in a park named for a writer. I hope you and your family have a great weekend, Naomi. It would be fun to hear more about your summer — and to talk about literary sites in the Maritimes, as we always seem to do, both online and in person. So many gorgeous shots, and I’m especially fond of water and rock pictures. Amy Jones’ novel immediately came to mind with the Kakabeka Falls shot (I hope your bookclub enjoys it). I’m really looking forward to the post about the Carol Shields’ labyrinth. I’ve wanted to go there since I learned about it: lovely! Enjoy your time at home now! Thank you! I’m glad you enjoyed the photos. I do seem to keep coming back to photos of water and rocks (and clouds). Have you written about We’re All In This Together? What did you think of it? I’m trying to remember if I read about it on your blog this summer. I spotted a copy of it at my sister’s house yesterday and I’m keen to read it soon. First, though, my book club is meeting to discuss Christy Ann Conlin’s The Memento. We had a fantastic day in Winnipeg! I was happy to see one of the Project Bookmark plaques at last, after a couple of years of volunteering for the organization and helping with fundraising for the No Great Mischief Bookmark in Cape Breton (which I haven’t visited yet, even though it’s in my home province…. We didn’t get to that stretch of the Trans-Canada on this trip.) The Carol Shields Labyrinth is beautiful. I’ll sort through my other photos to see if I can find some good pictures of the quotations carved on the stone gates at the entrance. Oh, yes: sky. I’ve taken so many of those, my too-smart-for-its-own-good phone has made a folder for them! Seems like we love a lot of the same things. How do you find volunteering for PB? I was thinking about it at one point but lost track of the idea along the way. I’ve wanted to travel to and through the prairies for a long time, and maybe the labyrinth will be another incentive to make some plans (dreams). Whenever you get to your pictures/post, I’ll be happy to admire. Amy Jones’ book likely appeared in some book posts along the way, but I didn’t write about it in any detail. Although I quite liked it, I didn’t feel compelled to dig into it afterwards. In that way, it reminded me of books by Terry Fallis and Elena Ferrante, stories I enjoyed but didn’t write about. Volunteering for Project Bookmark has been great! We now have a Halifax-based Reading Circle and we’ve had some really interesting conversations about ideas for future Bookmarks in Nova Scotia. Last year’s celebration of the No Great Mischief Bookmark was fun, too. Ian Colford, Donna Morrissey, and Sheree Fitch spoke eloquently about Alistair MacLeod’s life and work. I think some people find it kind of dull to drive across the prairies, but for me that stretch of road between Winnipeg and Banff is one of the best parts of the Trans-Canada. I love seeing the road stretch out ahead, with prairie on either side — and so much sky. Of course, I’m originally from Alberta, so I have many childhood memories associated with that prairie landscape. That’s interesting about We’re All In This Together. I read Elena Ferrante’s My Brilliant Friend last week and my response was similar to yours. I enjoyed the book but I didn’t feel I needed to write about it. I also wasn’t immediately hooked, so I’m not rushing out to get a copy of The Story of a New Name. You went to Plum Creek! Thanks for reminding me about that post. Sounds like you had an amazing trip last year. (Also — Jane Austen, North and South, and Cows ice cream all appear in that blog post, which I think is an excellent combination.) 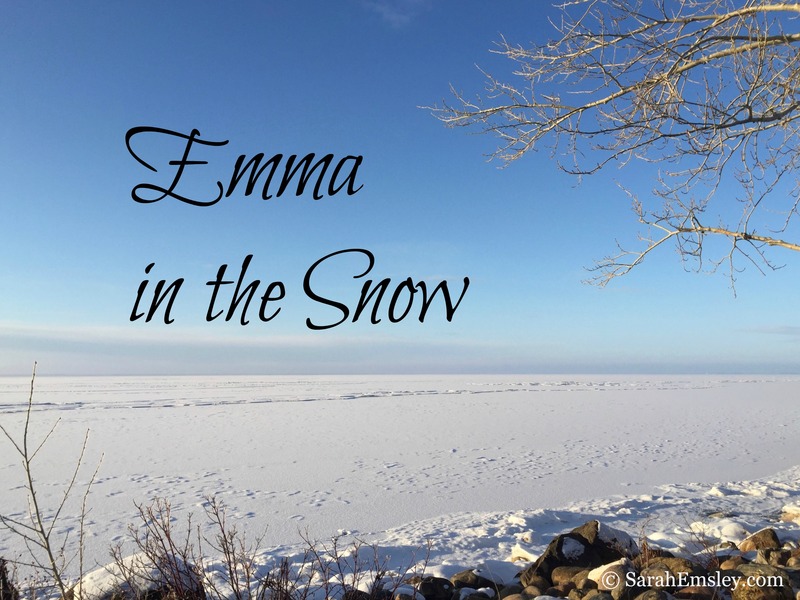 If you had to choose just one or two of the Laura Ingalls Wilder sites, what would they be? And where did you stay? We liked the hotel we stayed in near Sioux Falls. If we went back there, I wonder if we could stay there and make a few day trips. Or maybe we’d need to stay in a few different cites and towns. Glad you liked the photos! We did enjoy watching the landscape change as we travelled from coast to coast. The mountains are spectacular, of course, but I think I like the prairies and the ocean best. Hmmm…that is a good question. The issue it that there aren’t a lot of places to stay in these areas, weird but true. So if you do plan, you need to think ahead and see what’s around. C and I enjoyed DeSmet very much and I would definitely recommend going there. I would also recommend Mansfield place, there’s a new museum I’m very interested in seeing. There is going to be a conference next year. That’s interesting about places to stay. Maybe we’d stay at least part of the time in the hotel we found this summer. Not too far from DeSmet. 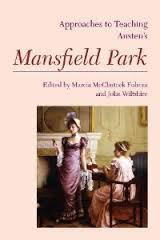 And how could I resist visiting a place called Mansfield, with its echoes of Austen’s world? I’ll keep your suggestions in mind. Are you planning to go to the conference? You took some beautiful pictures on the road! Talking to you made me really want to plan a cross-Canada trip! You REALLY need to make it to Powell’s one of these days – there’s no place like it. I also want to visit Parnassus Books – they are pretty awesome on Instagram. I also want to go to Type Books in Toronto and Literati in Michigan. And back to Powell’s. Type Books is also on my list; I didn’t know about Literati, so thanks for telling me! I might have to plan an entire trip around the visit to Powell’s. And, obviously, take an empty suitcase with me. I signed up for Instagram a few weeks ago and intended to explore further, but I haven’t done that yet. Since you and Parnassus Books are there, I’ll put that higher on my list of things to do! It was so good to see you in Vancouver. When you make that trip across Canada (with PEI as one of the most important destinations, I’m guessing), I hope you’ll stop in NS for a while. Maybe Naomi will join us for coffee as well…. Glad you enjoyed the photos! An empty suitcase is completely necessary for Powell’s. All the great bookstores are on Instagram. Actually, it’s an amazing platform for book lovers. So much beautiful bookish content. PEI will definitely be in the list! So will Nova Scotia. I’m taking you both up on coffee when I’m there! That was quite a trip. Some of the photos are brilliant! I’ve finally had a chance to look and read this! Amazing! I am one who is very car sick and so I will never be able to undertake this kind of journey without many many stops. But you have shown how intimate driving through places can be and how driving can open up spaces and views to us that we would never otherwise see. The sky scapes are wonderful – thank you!